Colette joined CFG as a result of the merger with MassMutual Northern New England in January 2017, where she had been since 1996. Prior to MassMutual Colette worked at Connecticut Mutual Agency as a General Agent Assistant beginning in October 1979. In her current role as the Director of Human Resources, Colette is responsible for multiple facets of agency and employee management, professional development, and producer finance and operations. Colette attended Hesser College, majoring in Administrative Assistance. She has continued her education through various certifications on tax preparation, accounting, office administration, and human resources. 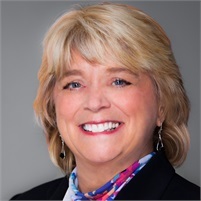 Colette is a member of the Society for Human Resource Management (SHRM), Manchester Area Human Resources Association (MAHRA), National Business Institute (NBI), and a Sargent at Arms and Executive Board Member of Manchester Millyard Toastmasters. She is also the Director of Faith Development and Children's Ministries at St. Anthony Parish. Colette and her husband, Guy, have 3 children and 3 grandchildren and have been married for 37 years. In her spare time, Colette enjoys hosting family celebrations and traveling, especially to Aruba to visit her daughter and granddaughter.